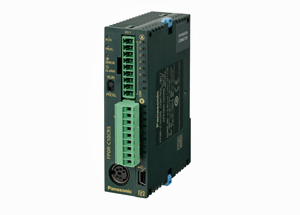 Panasonic PLC - Panasonic Programmable Logic Controllers | PICS, Inc.
Advanced functionality controller for use in basic as well as advanced motion control applications. Range of 0 to 3000 steps with a high speed of 80 nsec/step. 1.5 times faster after the 3001st step than the conventional model. Used for labeling machines and systems where instantly reading output signals is done at high speeds. Also performs well as a sensor controller with a Panasonic fiber sensor. The FP0R has a 32k step program capacity and 32k word data register. Connects directly with a PC without the need for USB adapters. This PLC provides either and AC or DC excitation platform with integral power supply to power most sensors. Operates at very high speeds with a scan time of 2ms for 5000 steps. Has a large program memory, and Independent Comment Memory. The FPX is great for communication applications with the ability to network 99 FP-X (Master to Slave) or 16 FP-X (Master to Master). View the FPX spec sheet. 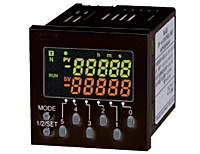 The FPe is the only 1/16 DIN controller offered that can do PLC functionality as well as te mperature and motion control. 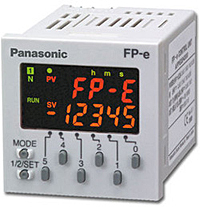 The FPe has many capabilities that can be used for setting counters, timers, temperature set points, and regular data points. Wizard feature added to the programming software, with up to 6 programmable screens. FP ∑ series which is capable of motion and temperature control all-in-one. View the FPe spec sheet. Very compact for saving space with high quality control of the heating and cooling process. Has a built in Auto Tune feature for speeding up setu. PID algorithm for reliable and accurate seal quality. Temperature input range is between 22 and 1076°F. Update response time of 18ms. Low cost extremely versatile controller and one of the smallest. Has an available three expansion units with the possibility of mixing transistor, analog, and relay. Uses floating point math for its PID calculation. 16 loops of PID and autotuning.